Residential, Commercial, Service and Repair Electrical Services. We specialize in everything from new high end custom homes to residential remodels and additions of any size. 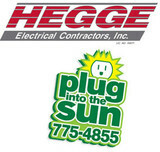 Let Hegge Electrical Contractors, Inc. provide qualified, reliable electricians to meet the needs of all your electrical projects. Our fully trained staff is ready to respond to your next electrical project. We have the resources and capabilities available to accomplish any job large or small with either a single qualified electrician or an entire crew. Established in 2011 DCH Electric & Lighting Inc. prides itself on customer services and quality craftsmanship. Our technicians are highly skilled at their trade and we are competitivley priced. 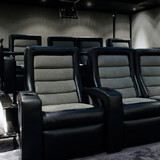 We excell at the most complex of custom applications to the simplest of installs. We have many specialties in the electrical and wiring fields, call today for your free quote. We look forward to hearing from you. We provided electrical services for upscale customers, from changing out an electrical outlet to a full home construction and everything in between. We pride our-self in providing the best customer care from the first call to when we leave your home. With over 20 years experience in the field we have established an honest and dependable reputation with our customer’s. Our long-term commitment to superior customer service and exceptional workmanship will surpass all other electrical companies The secret to our relationship with our customer’s is really no secret at all. Our clients know that when they call Oz Electric our work won’t simply meet their expectations it will exceed them We look forward to serving you. Since 2002, Marklein Plumbing has offered reliable plumbing services to people throughout the area. Our focus is on exceeding your expectations of quality and cleanliness while ensuring your home and family are safe from any plumbing emergency. It is our goal to begin a long lasting relationship with our clients based on trust through quality craftsmanship and exceptional service. Call us today! We specialize in residential electrical systems with over 25 years of service in San Diego County. Custom Home Lighting, Media and Communications. Delivering innovative electrical technologies using cost-appropriate solutions in creating environments that make life easier and more enjoyable are key to the success of Vintage Electric and Solar. In business for more than two decades, CEO and Owner, James Tourje brings years of working knowledge as master electrician, project manager and business owner in Los Angeles, Las Vegas, Mammoth Lakes and the Coachella Valley. Tourje’s dedication to the trade as instructor and mentor and his visibility in the communities Vintage serves, has exhibited a proven track record of expertise in overseeing electric and solar projects of any scale. Meeting the growing need for renewable energy technology led to the launch of the sustainable green energy arm, Vintage Solar, in 2009. Bench marked success in delivering service and product enhancements has made Vintage a leader in solar and electric in the Coachella Valley. Vintage Electric homes can be found in exclusive areas such as: Vintage, Madison Club, Hideaway, Traditions and Toscana. We are a licensed contractor with the California’s State Contractor’s Board and are fully bonded and insured. Our highly trained team of experienced electricians will handle all of your lighting and electrical needs. In addition, we are available 24 hours a day, seven days a week, 365 days a year – with an emergency response time of two hours or less. Horizon Lighting has the knowledge and know-how to get things right the first time. From emergency calls to property maintenance, you can count on us for fast and reliable service. We look forward to becoming the company you call for all your lighting and electrical needs. What do licensed La Quinta electricians do? An electrical contractor plans, installs and repairs wiring in structures. He or she works closely with the home’s general contractor or remodeling contractor to determine the specific electrical needs for the project and to ensure that the wiring will meet La Quinta, CA building codes. An electrical contractor’s job also includes installing and repairing fixtures, switches and other visible components of electrical systems. With today’s technological needs and advances, many electricians in La Quinta, CA also are trained to install fiber optic and coaxial cables for electronic equipment. Certain electrical companies may design and install data systems and wire for security features such as alarms too. Some La Quinta electrical contractors specialize in specific areas, such as HVAC, low-voltage appliances and systems and more, so be sure to ask about their training to see if it fits your project needs. Find a certified La Quinta electrician on Houzz. Narrow your search in the Professionals section of the website to La Quinta, CA electrical contractors. Here are some related professionals and vendors to complement the work of electricians: Lighting Showrooms & Sales, General Contractors, Solar Energy Contractors, Heating & Cooling Sales & Repair.